New research indicates that certain occupations may put workers at an elevated risk of developing rheumatoid arthritis. The findings, which appear in Arthritis Care & Research, suggest that work-related factors, such as noxious airborne agents, may contribute to the pathogenesis of rheumatoid arthritis. 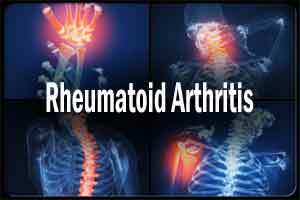 Environmental factors are thought to play a role in the development of rheumatoid arthritis by triggering autoimmune reactions in susceptible individuals. To examine whether certain occupational hazards and exposures might be involved, Anna Ilar, of the Karolinska Institutet in Sweden, and her colleagues analyzed information from 3522 individuals with rheumatoid arthritis and 5580 controls from the Swedish population-based EIRA (Epidemiological Investigation of Rheumatoid Arthritis) study. The study gathered information on environmental, genetic, and immunological factors collected from blood samples and questionnaires between 1996 and 2014. The team found that male workers in the manufacturing sector had a higher risk of developing rheumatoid arthritis than workers within the professional, administrative, and technical sectors (the reference group). Within the manufacturing sector, male electrical and electronics workers and material handling operators had a twofold increased risk of rheumatoid arthritis than the reference group. Bricklayers and concrete workers had a threefold increased risk. The researchers’ analyses took into account participants’ smoking habits, alcohol use, educational level, and body mass index, all of which are factors associated with rheumatoid arthritis. “Previous studies have not considered these lifestyle-related risk factors to the same extent. Our findings therefore indicate that work-related factors, such as airborne harmful exposures, may contribute to disease development,” said Ilar. “It is important that findings on preventable risk factors are spread to employees, employers, and decision-makers in order to prevent disease by reducing or eliminating known risk factors,” she added. More research is needed to pinpoint the exposures that may be involved. Potential suspects include silica, asbestos, organic solvents, and motor exhaust.